This was something I had once contemplated years ago; the time would come when I would be a “baby boomer about to retire”. Actually, at the time, I thought that it would be a good idea. But as the years rolled on I quickly discovered that when you truly enjoy what you do, why would you want to ever retire? Now, don’t get me wrong here. For those of you folks that have either retired already or are soon planning to, and this is what your truly desire, then most definitely go for it. 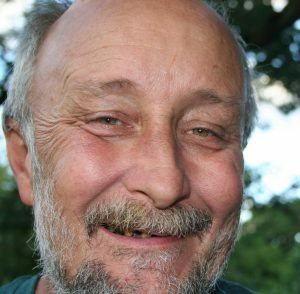 I know many people that are enjoying their retirement, and having a fun time of it. But for the folks like myself, there may be one or more reasons to consider the “Un-Retired Lifestyle”. 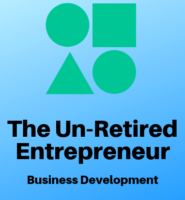 I personally decided to become an Un-Retired Entrepreneur because I truly enjoy what I do. That does not mean I won’t cut back or eliminate aspects of my current work status, but it does mean I will always be involved in those things in which I am most passionate. During my working life I have had a dual career of sorts, working both in business and human services. I enjoy the challenge of both. In human services, I have been most fortunate to have been able to touch the lives of many adults and children with specific challenges in their life doing counseling and rehabilitation work. This has scanned the spectrum from children and adults with autism and developmental challenges, to children on probation, gang-affiliated, and mental health challenges. On the business side, I have enjoyed working in the world of technology through business development activities in the executive search world as well as mergers and acquisitions. I have also helped companies grow and increase their brand in a variety of industries. At this point in my life I have found that I can pick and choose what I most desire to do, while enjoying plenty of free time to do other activities. The conception of work as something that is hard and/or undesirable has created the illusion of working hard so that one day you can retire. Does doing something you don’t enjoy for several years, so that one day you can have what you want, make any sense? Do you really think at that point you will live happily ever after in comfort without any stress? To achieve an enjoyable life both before and during retirement requires quite a change of direction. We must change our ideas and assumptions in this area. When work is like a hobby there is no need to retire. Work becomes something we want to do, not have to do. At that point we will have to find reasons not to do it, not reasons to do it. This then becomes a conscious choice, and not an unconscious reaction to something undesirable. 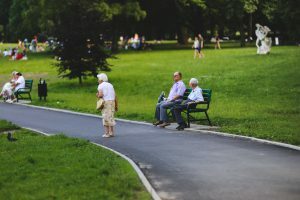 Regardless of where a person may be in their life right now, creating an Un-Retired Lifestyle is just a process with a series of logical steps. It’s silly to give up most of our life doing stuff we are not truly passionate about, in order to later retire. Also dependent on one’s financial situation, unless we have enough saved up, we will be living om 25% of what we are used to. This will require cutting back in a few areas in order to make ends meet. And finally, most of us are hard workers, which means that shortly after we retire we will be Bored Stiff!! Now the path which I have chosen as an Un-Reitired Entrepreneur involves working on stuff I choose to do and enjoy, while taking sabbaticals or mini-vacations a few times a year. But for me, even at those times I will do some work here and there because I have created a portable business, and its something I really want to do. It is absolutely possible to create an active and passive income to supplement your retirement funds and pay for your necessities, while also having the time to do whatever else you want to do. This is a viable alternative for anyone, once you DECIDE it is. Forget any noise in your head that tries to negate this. Too many people have already done it, and you are no different. More Pleasant Alternative Click Here.